London-based technical service company Lightwave Productions has joined the growing number of rental houses worldwide who are finding SGM’s P-5 LED wash light an indispensable part of their production inventories. 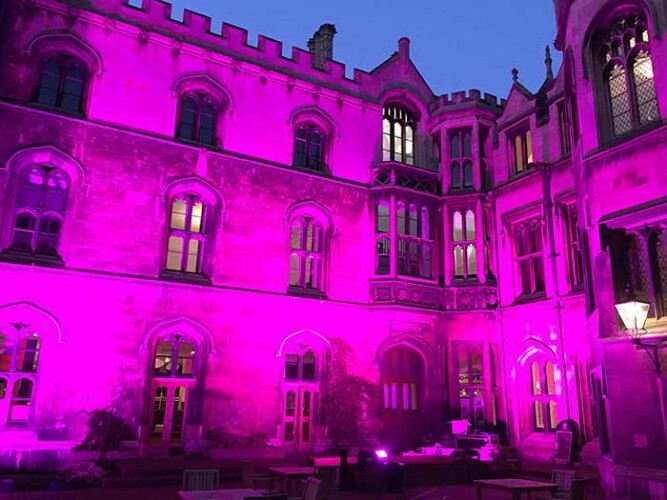 A lighting technician since his days at Bristol University the company’s founder, Henry Clarke, hopes that the P-5s – which were supplied by SGM UK along with standard 43° lens – will help build profile for his company as the summer season beckons. “I realised we needed IP65 rated products for the outdoor events and it seemed pointless looking at old style 400W floods when the industry is moving towards LED,” he said. As a freelance lighting tech, whose new company is now into its second year, Henry recognised that the P-5 had all the attributes required after seeing them at the PLASA Show. “I had also used them previously with another production company and knew they were good,” he said. “When Clive Bailey at SGM contacted me I decided it was time to buy. Finally, looking at the anticipated demand on the fixtures this summer, he also predicts great opportunities for dry hire. In picture: Lightwave Productions’ P-5s illuminating Kings College Cambridge.